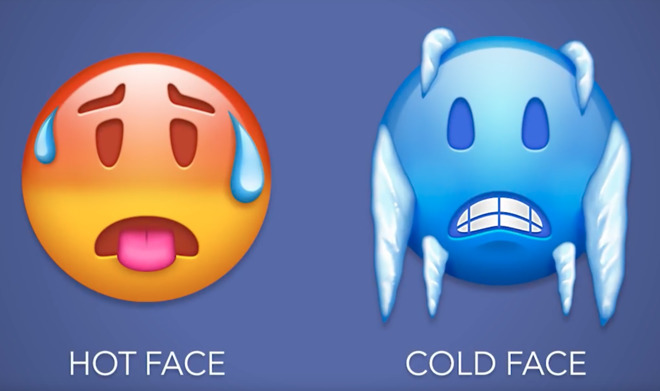 The 2019 slate of potential emoji includes a wide array of stylized expressions, like the pictured hot and cold faces. Also added are a range of hair options including bald, curly-haired, and white-haired, with a range of skin colors to choose from. Other inclusions are a supervillain, legs, feet, a tooth, a new bone, goggles, a lab coat, more footwear, a host of animals, and more food. 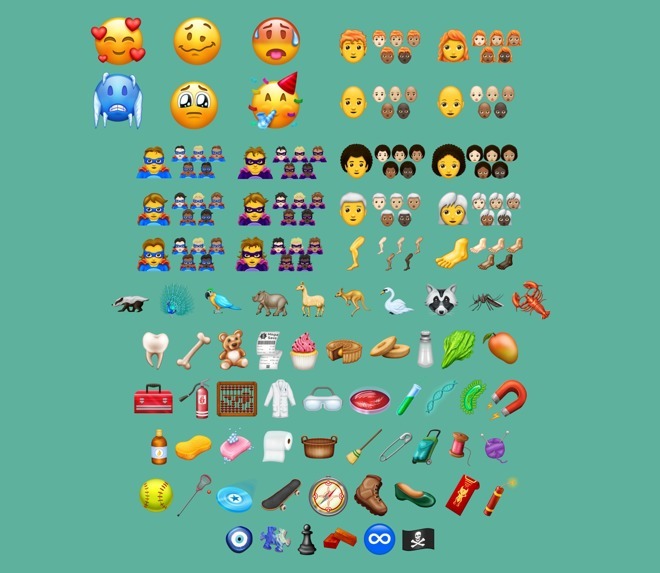 The Emoji Version 12.0 list will be finalized in March of 2019. While characters may get used in other venues before then, iPhone and iPad users will be out of luck until Apple decides to adopt new symbols. Emojipedia, the source of the new additions, suggests that if an iOS user get a blank character sent to them in the interim, they should paste it into the Emojipedia search field to see what was sent. While Apple is a member of the group based on its association with the Unicode Working Group, it does not unilaterally choose what to include. Apple may choose to use some, all, or none of the collection in iOS 13, or include them in a late revision to iOS 12 and macOS 10.14 following the official debut. As a platform holder Apple has been instrumental in shaping the direction of emoji. Earlier this year it submitted 45 possible emoji for people with disabilities, which could likewise be included with Emoji 12.0.